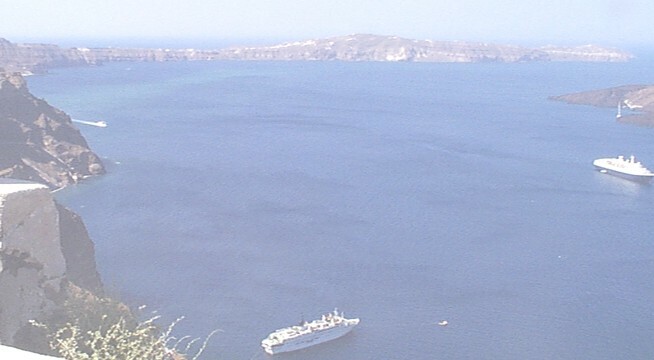 Once on board the Marco Polo you enter a new port almost every day, including Barcelona, Monte Carlo, Rome, Sorrento, Santorini and Athens. Ever since the actress Grace Kelly married Monaco's Prince Ranier, Monte Carlo has had a fairy-tale image. 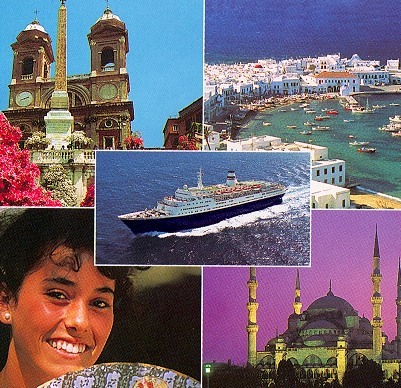 Famous for a beautiful Rivera setting, a yacht-filled harbor and an elegant casino. 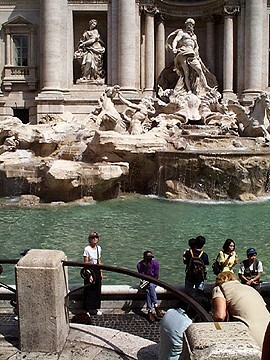 Trevi Fountain is one of the largest and most famous fountains in the world. According to the tradition, if you throw a coin in on leaving Rome, you will certainly come back. 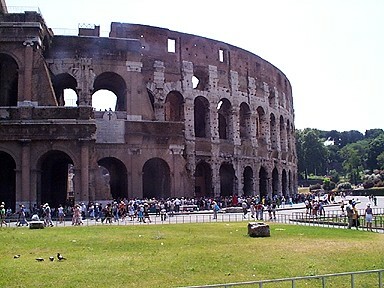 Rome features some of the most recognizabe monuments ever created, including the Colosseum and St. Peter's Basillica, the world's largest church with masterpieces by Michlangelo and Raphael. 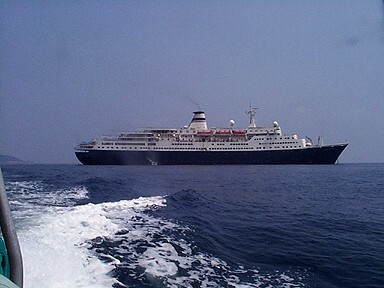 We met Bob, the world traveler, just before going ashore at Sorrento. He was a marveouls source of fascinating information about travel and people. 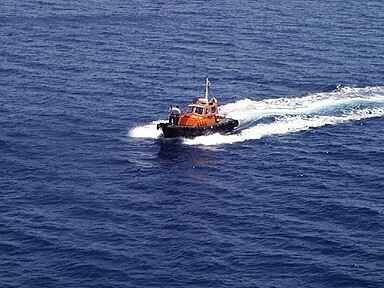 A pilot boat approaching the Marco Polo to assure that everything will go smoothly when we enter the port of Valleta. 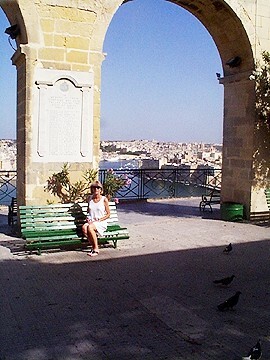 Valetta, capital of Malta, juts out into the Mediterranean between two of the finest natural harbors in the world. 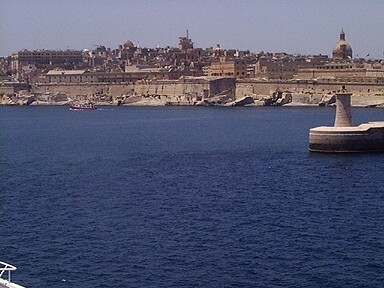 Today Valetta is a beautifully preserved 16th century walled city, samll enough to cover in a few hours. 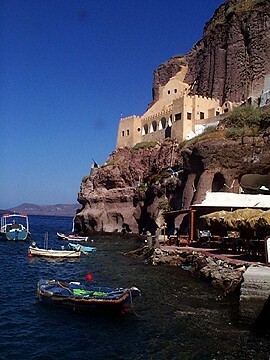 Fira, Santorini, at waters edge 1000 feet below numerous hotels, restaurants, and shops selling folk arts and crafts, pottery, handwoven fabrics and pricey gold jewelry.